The range of drug therapy options available to pediatric dentists has greatly expanded over the past ten years. This expansion has opened the door to unprecedented therapeutic successes as well as serious drug misadventures. This lecture will update the clinician on recent developments in pediatric pharmacotherapy while providing strategies for prescribing to ensure therapeutic success. Drug therapy and alternative medicine reference sources will be listed and critiqued as to usefulness in daily practice. Clinically relevant information about effectiveness, adverse effects, patient specific drug selection criteria, dosing, and cost will be presented for systemic antibiotics, analgesics and anxiolytics commonly used in pediatric dentistry. Special attention will be given to certain controversial areas including dental treatment considerations for medicated children and regimens of choice for oral mucositis. Extensive and very current handouts will be provided to maximize the chair-side value of this fast-paced and clinically relevant lecture. 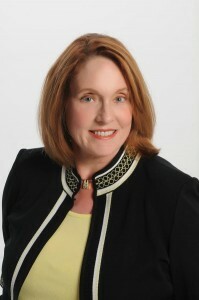 Professor Karen Baker has been on the Dental College faculty at the University of Iowa for 35 years and occupies a unique role in dental practice and education. She is a clinical pharmacist with a Master’s degree in clinical pharmacology and therapeutics and is focused on patient-specific dental drug therapy. She has given over 1000 invited programs nationally and internationally and holds memberships in many dental and clinical pharmacology and therapeutics organizations. Her dental education-based pharmacy and drug therapy consultation center is the only one in the United States. She has authored more than 50 articles and abstracts and lectures extensively in pre-doctoral and graduate courses at the University of Iowa. Dr. Olsen was a member of the faculty at Marquette U. School of Dentistry in the Anatomical Sciences department for 12 years. He was the course director for General/Oral Pathology & Pharmacology at MATC for over 20 years collectively. He has lectured extensively. His awards from AGD include MAGD & LLSR, & he is presently Regional Director for Region 9. He holds Diplomat status in ICOI & is an Examiner for those seeking Diplomat status in that organization. 4. recognize dental treatment considerations in the medicated child and those with oral mucositis . Hotel Reservations based on availability. May register for lecture only. Hands-on 3/25/17 participation must take 3/24/17 lecture. only and 3/25/17 observation only. Return by March 17, 2017.